February 2, 2019 Archives - Clarksville Sports Network - Clarksville Tennessee's most trusted source for sports, including Austin Peay State University. College Station, TX – With a 93-76 victory at Texas A&M Saturday night, No. 1 Tennessee Vols set the program record for consecutive wins at 16 games. The Vols (20-1, 8-0 SEC) had one of their best offensive performances of the season Saturday, shooting a blazing-hot 65 percent from the field, including a 74 percent (31-of-42) mark on two-point field-goal attempts. 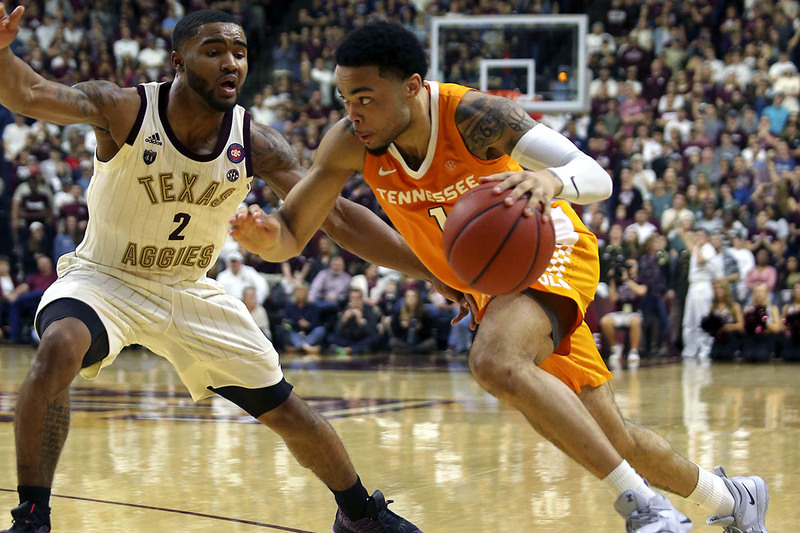 Tennessee also assisted on a season-high 28 baskets in the game. 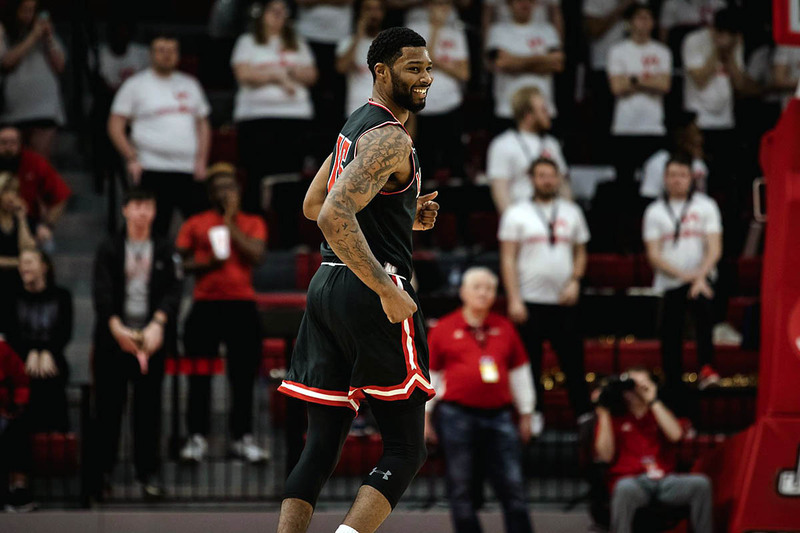 Jordan Bone had another impressive outing at the point, dropping 18 points on 7-of-7 shooting from the floor with 10 assists. Jacksonville, AL – If you want to be a championship-caliber team, walking into the home arena of the league-leader and emerging with a victory is a good place to start. The APSU Govs are a championship-caliber team. 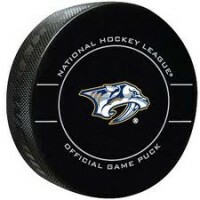 Nashville, Tn — The Nashville Predators fell to the Dallas Stars tonight, 3-1, unable to pull off back-to-back wins, after last night’s victory against the Florida Panthers. 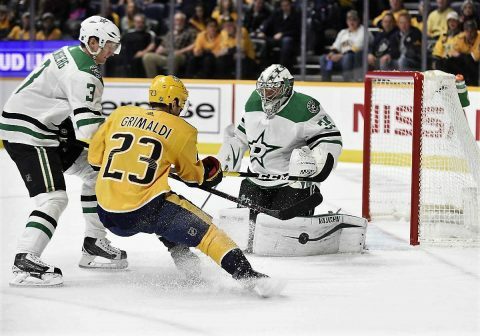 On a night that honored former Predator Jordin Tootoo, the Predators were unable to crack the Dallas defense, specifically the goaltending of their back up goalie, Anton Khudobin. The first goal of the night was scored by Calle Jarnkrok at 9:35 of the first period, who ripped a shot from the circle past Khudobin for the early 1-0 lead. It would be the only score of the night for Nashville. 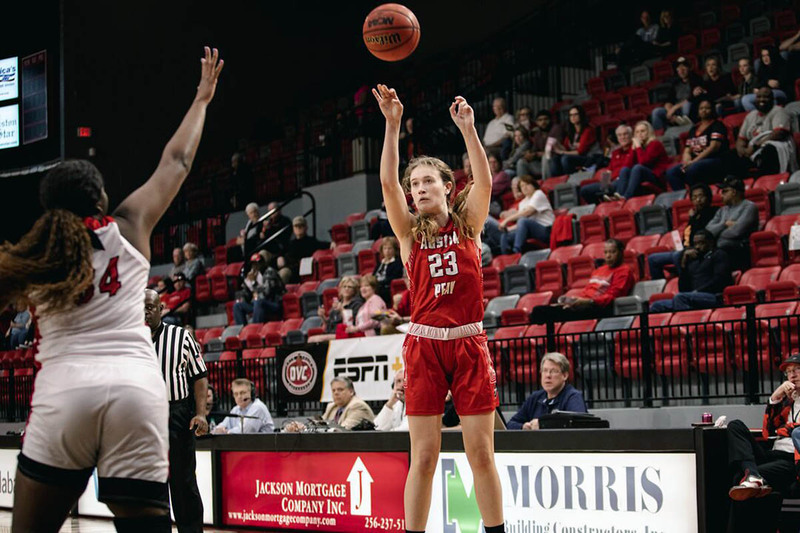 Jacksonville, AL – Austin Peay State University (APSU) women’s basketball team could not overcome a cold day from the field, dropping an Ohio Valley Conference contest against Jacksonville State, 67-56, Saturday, at Pete Mathews Coliseum. Knoxville, TN – After playing four in a row at home, the Tennessee Lady Vols (14-7, 3-5 SEC) hits the road for two straight games, starting with a 2:00pm CT (3:00pm ET) matinee vs. Vanderbilt (6-15, 1-7 SEC) in Nashville on Sunday. 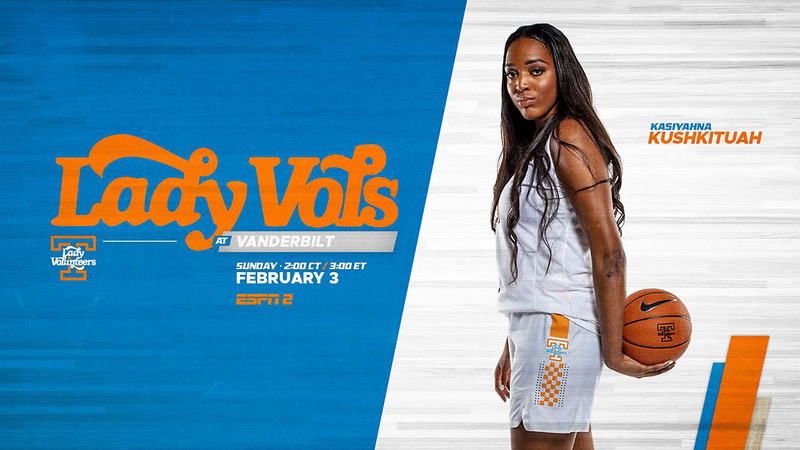 ESPN2 will carry the 81st meeting between the Lady Vols and Commodores, as they face off on Super Bowl Sunday at historic Memorial Gymnasium. UT enters the in-state rivalry game on much better footing, having won back-to-back games after a much-publicized six-game losing streak. The Lady Vols took care of LSU last Sunday, 74-65, and handled Florida on Thursday night, 67-50, with both games taking place in Knoxville. Clarksville, TN – Austin Peay State University (APSU) women’s tennis team dominated Carson-Newman, winning every match, en route to a 7-0 victory, Friday, at the Governors Tennis Center. 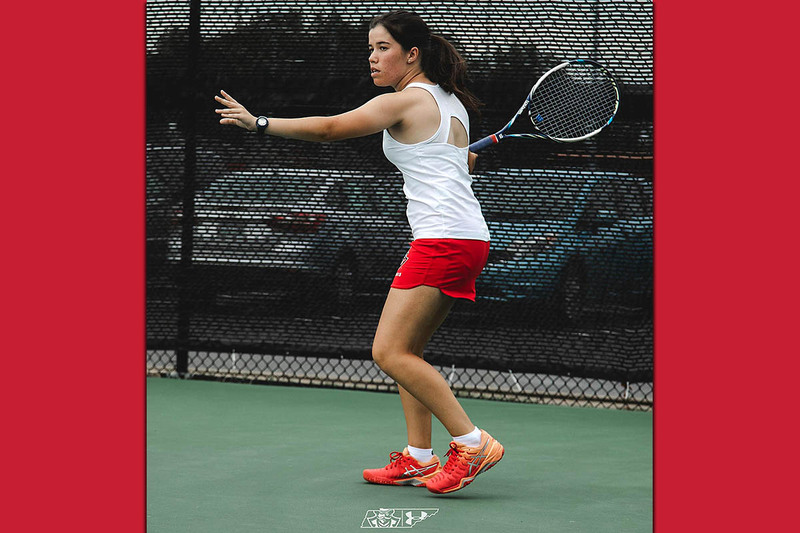 The Governors (4-0) continued its unbeaten start to the season and set the tone early, winning all three doubles matches by 6-1 or 6-2 scorelines.